Imagine you have gone hiking up a mountain that you thought ‘No way will I get lost’ – and yet, come to find out, you still get lost. 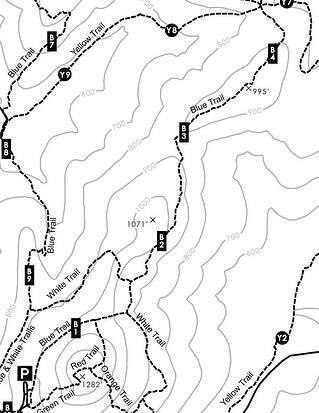 You don’t have a compass with you – your iPhone/Android phone have zero reception, but thankfully you find a map. It really doesn't help you, however, because you don't know where on the map you are. This is similar to indoor mapping apps such as Apple's recently announced. Apple recently announced at their WWDC 2017 conference that the iOS 11 will contain indoor mapping on Apple Maps. Initially for malls and airports around the world in 8 major cities, after launch, they plan to continue to expand this development quickly. While indoor mapping is a great initiative towards navigation within indoors, it is not indoor navigation. Similar to traditional GPS navigation apps that provide turn by turn, pin-point navigation in real time outdoors - indoor navigation and wayfinding apps provide turn by turn, real time, pinpoint directions. Users are not just blindly looking at a map on their phone - they are able to know where they are, and how to get to exactly where they want to go. How Does AppAtlas Differ from Apple Indoor Mapping? MeetingPlay's AppAtlas is both an indoor mapping solution and an indoor navigation app. Through the use of iBeacon technology and mobile app development, AppAtlas provides the specific turn by turn, pinpoint, real-time directions that users are used to experiencing with similar outdoor GPS navigation apps such as Google Maps or Waze. The custom, white-labeled indoor navigation apps that AppAtlas develops for clients offer features to increase revenue, decrease spending, and increase visitor/guest engagement, as well as delight. 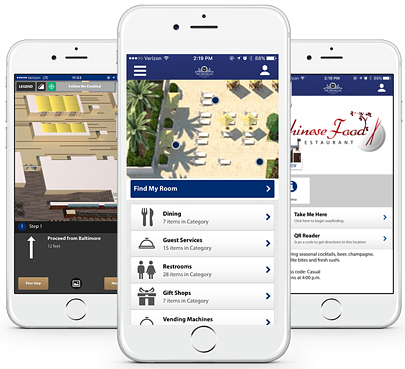 Featured in every Gaylord Conference Center, PepsiCo's Sculpture Garden and multiple other large venues - AppAtlas' indoor navigation apps are helping large venues lead the way in guest delight as well as innovation. While indoor maps are helpful, AppAtlas combines the components of indoor maps with indoor navigation apps that truly revolutionize large venues.